A layer is composed of many customizable parameters, such as the X, Y and Z positions, angle (rotation), skew and scales. Each parameter has its own function which is a mathematical formula expressing the relationship between position values. 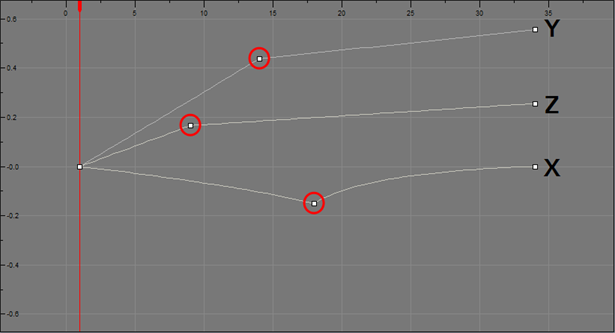 You can view each function on a graph as a simple curve, such as the one below. 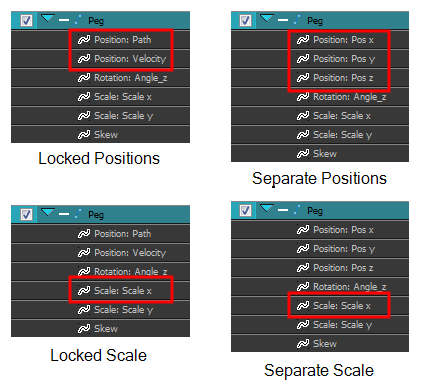 You must select 3D Path, Separate Positions, Separate Scale, or Locked Scale before starting the animation. When you lock or unlock parameters, this does not convert the functions from one to the other, but creates new ones. When using the Scale parameter, you can use a single function curve controlling both the vertical and horizontal scale, or two separate scales. 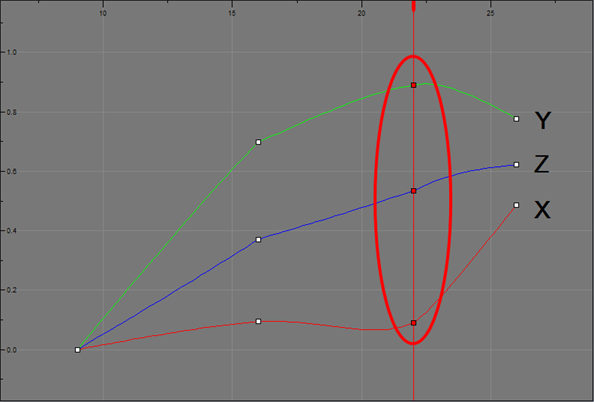 When using a single function curve, the values are the same for the X (horizontal) and Y (vertical) axes for uniform size changes without distortion. However, if you separate the scale functions, you can squash, stretch and skew your elements. ‣ In the Timeline’s left side, click a layer's Expand button or press Alt + F.
‣ In the Timeline view menu, select View > Show Functions. 1. In the Timeline view, double-click on the layer on which you want to set the parameter. You can also see the parameters in the Layer Properties view when you select the layer in the Timeline view.